Two Way Voice Communication: Two way voice allows those monitoring your home the ability to quickly assess the situation and dispatch the authorities appropriately. Cellular Communication: The best part about your protection system from Cura is that you can be constantly connected using cell towers even without a standard telephone line. Thermostat: The Cura thermostat provides you with the power to create an energy efficient home with a built in remote control, seven-day programming, and complete integration with your panel. Door Lock Control: Electronic door locks communicate with our panel and allow you to lock and unlock your doors from anywhere. Lighting & Small Appliance Control: Remotely control a range of common household devices from curling irons to coffee pots to lamps and know instantly if they’re still on. Video: You can remotely view your home in real time from a computer or your smartphone. 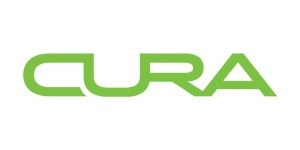 Energy Monitoring: Cura’s approach to energy monitoring allows you to track energy usage in kilowatt-hours and actual dollars, for the whole home and for individual energy-consuming devices.